The addition of smashed up slabs of toffee and chopped walnuts add a crunchy but oh- so-chewy texture when you bite in to each piece. 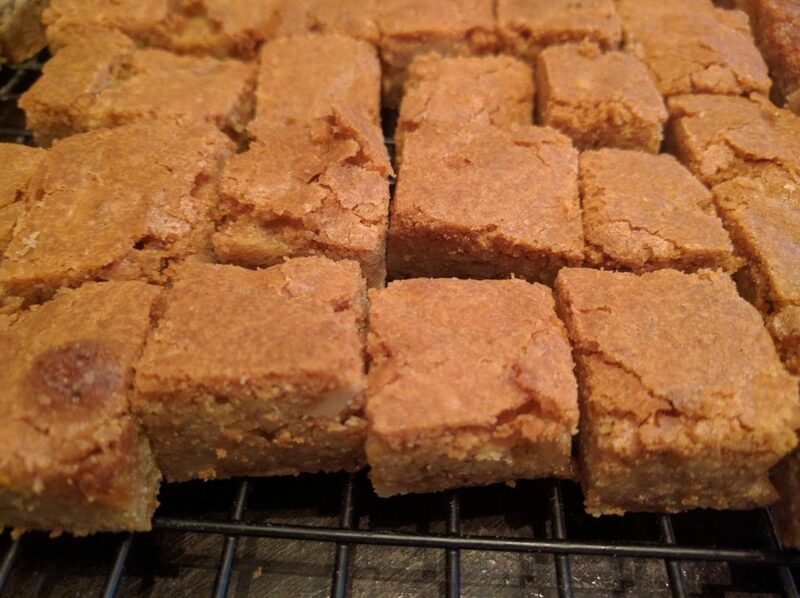 These blondie bites are one of my wife’s favourite desserts that I make about once every six months for her. 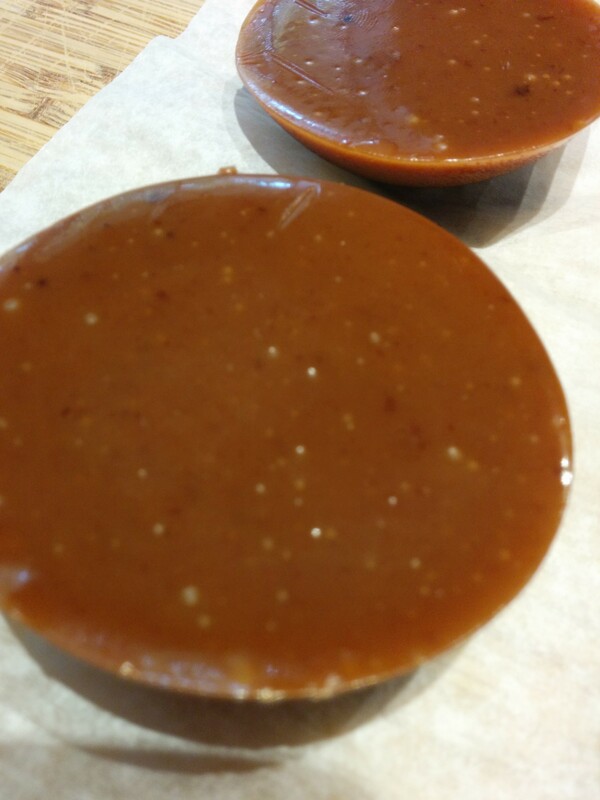 I’ve also distributed these bites amongst colleagues when I have been working on-site with a client. 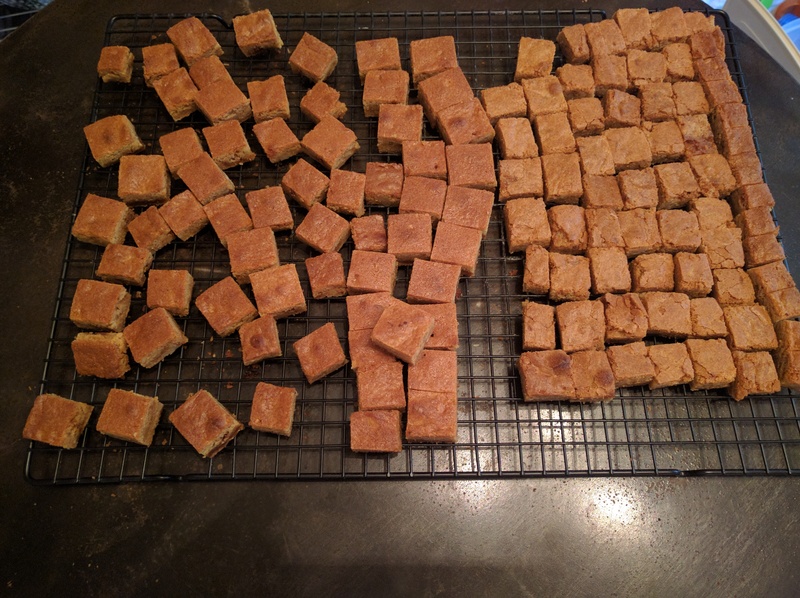 When you serve these toffee blondies you can either cut them larger (100mm/4″ squares) in size as an individual serving or bite-sized about 40mm square. Either way, the obligatory glass of cold milk should be included. 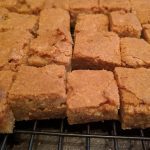 I find the blondies more than sweet enough as-is, but if you have a very sweet tooth, or you just like the look of the dust treats, a light dusting of confectioner’s sugar adds a nice touch. Butter a 22cm-by-33cm (9"-by-13") baking pan. Cook the butter in the saucepan until it turns golden brown. You know it is cooked as it will smell nutty. Mix until the butter/egg/sugar mixture becomes a light colour and is fluffy. This is usually about three minutes. Sift together the flour, the salt and the baking powder in a separate bowl. You can do this while the mixer is working on the eggs and sugar mixture. Bake for 28 to 40 minutes on middle/lower-middle rack. Bake until a cake tester comes out clean. Very importantly, avoid over-baking! 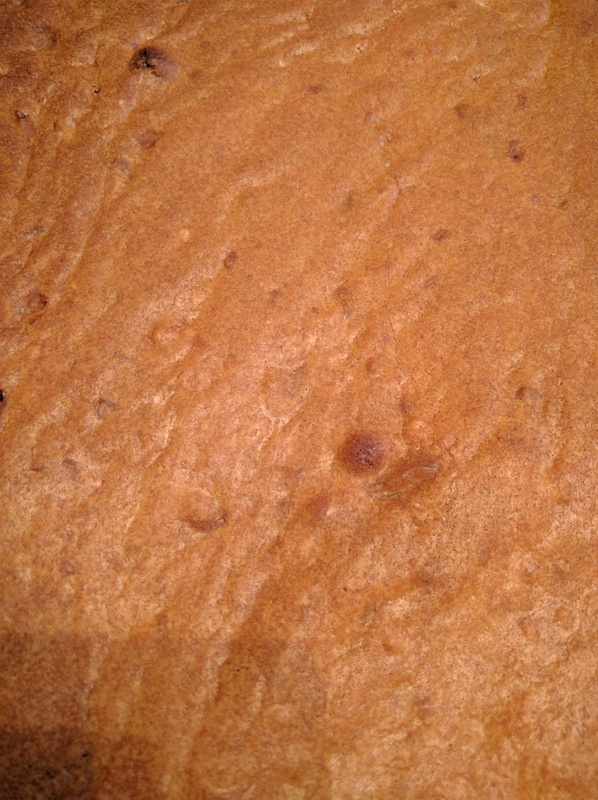 As an optional step, very lightly dust blondies with confectioner's sugar. You can to watch the final few minutes of your cooking time like a hawk to make sure these don't overcook. It's really easy to go from "blondie" to "brownie" if you are not careful. The problem with a little overcooking is that the bottom of the blondie gets a little extra crunchy. You can fix this by cutting the blondie cake in to bite-sized pieces and then taking a very sharp kitchen knife just trimming off 1mm of the underside of each piece to reveal the chewy inner layer. When you are browning your butter I find a large, shallow saucepan to be a lot easier to handle than a tall, regular saucepan. The butter browns a lot quicker too. 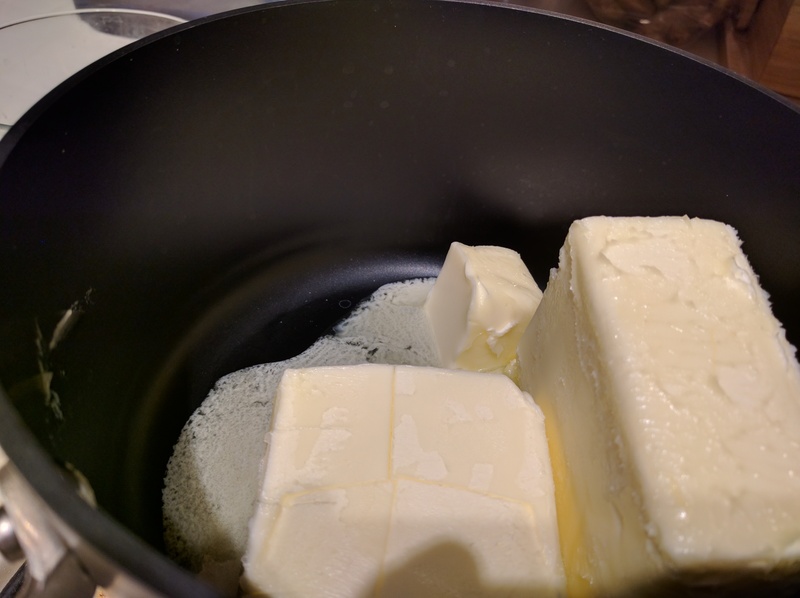 If you have browned your butter a little too much and wound up with burnt milk solids on the bottom of the pan, you can filter out the burnt solids very easily. Using a very fine mesh strainer, such as one you would use for tea leaves, or a coffee filter, pour your browned butter through the fine mesh filter three separate times, or through the coffee filter once. Problem solved. 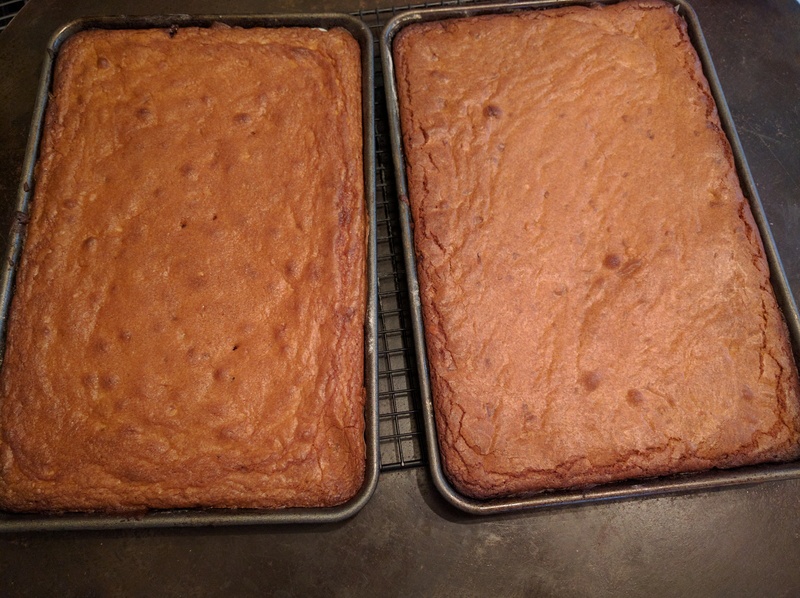 If your batter mixture is a little too sticky to spread easily and your parchment paper keeps sliding around, use two spatulas or wooden spoons held in each hand and move them in a "pulling apart" motion to spread the batter mixture around.